Summertime is the perfect time to enjoy dining al fresco with family and friends. Dining al fresco is simply eating outside; it requires very little and has the ability to top off a beautiful day perfectly, to make an ordinary day more special, or to brighten up even the toughest of days. In the spirit of al fresco dining, I like to keep the meal easy and tasty… add some hanging lights and a little rustic charm, pour a glass of rosé and you’re set! Pancetta Shrimp has become one of our signature dishes. I first enjoyed a version of this dish at Market City Caffe in Pasadena many years ago. Bert and I had never had anything like it – succulent shrimp wrapped in salty pancetta with a subtle hint of bright herbs and sweet balsamic…ma che buono! We decided to ask the chef about it and he quickly listed some key ingredients – olive oil, balsamic vinegar, fresh herbs and pancetta. We made sure to take mental notes on the overall look and texture. Bert and I repeated the list all the way home (this was before smart phones) and wrote down a recipe on the first piece of paper we could find once we walked in the door. 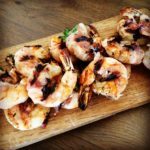 After some trial and error, we perfected all the details (including who did what – I got the ingredients and did all the prep, while Bertie grilled the shrimp to perfection) and “took it on the road”. It was a hit at parties and soon became a top request by friends and family. It is still a favorite and a wonderful way to start out an al fresco meal. Pancetta Shrimp has become one of our signature dishes. I first enjoyed a version of this dish at Market City Caffe in Pasadena many years ago. 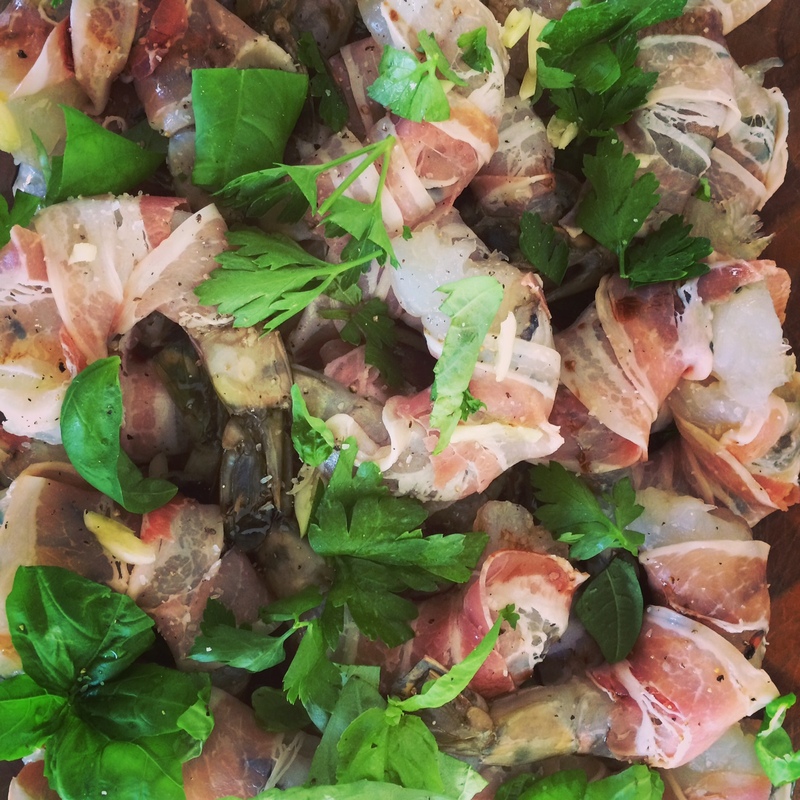 Bert and I had never had anything like it - succulent shrimp wrapped in salty pancetta with a subtle hint of bright herbs and sweet balsamic...ma che buono! We decided to ask the chef about it and he quickly listed some key ingredients - olive oil, balsamic vinegar, fresh herbs and pancetta. We made sure to take mental notes on the overall look and texture. Bert and I repeated the list all the way home (this was before smart phones) and wrote down a recipe on the first piece of paper we could find once we walked in the door. After some trial and error, we perfected all the details (including who did what - I got the ingredients and did all the prep, while Bertie grilled the shrimp to perfection) and "took it on the road". It was a hit at parties and soon became a top request by friends and family. It is still a favorite and a wonderful way to start out an al fresco meal. In a glass Pyrex dish, drizzle some olive oil and balsamic vinegar. Top with the herbs and sliced garlic. Season with salt and pepper. Then wrap each shrimp with a slice of pancetta and place on the marinade. Top with another layer of marinade. Refrigerate for a couple of hours. About a half an hour or so before you are going to grill, take the shrimp out. Grill each side for 2 to 3 minutes - until the tail is pink. A little char is nice, but be careful not to overcook them. 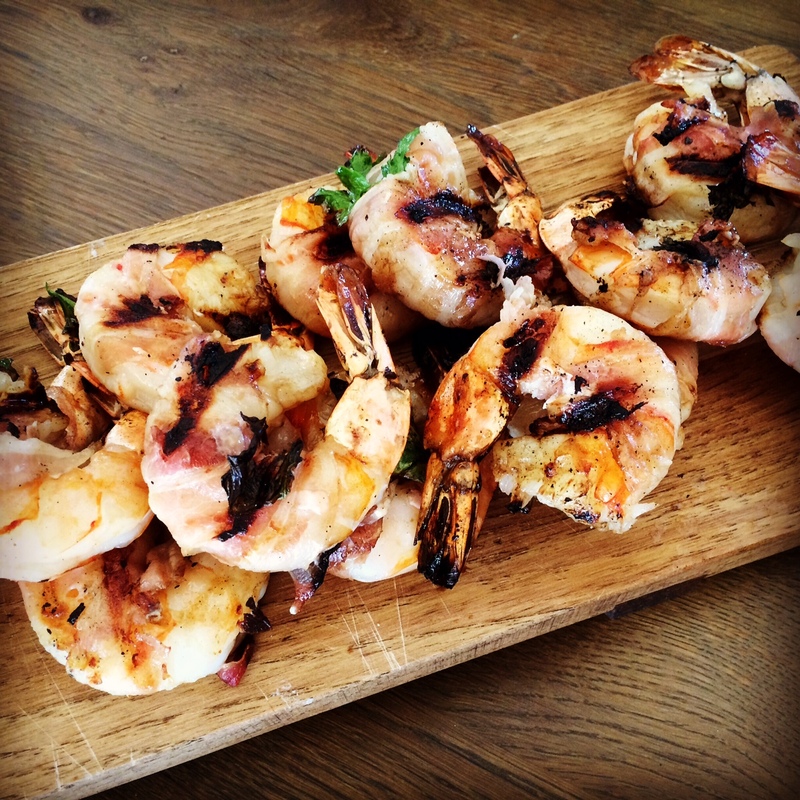 Grilled Pancetta Shrimp, ready to be eaten! My Zia Emilia and Zio Ciccilio ran a farm in a small town called Santa Maria Capua Vetere in the Campania region of Italy. Like most Italians, they were always ready to have you over for dinner. No matter how last minute, how tired, how early or how late it was, you knew you could show up and be greeted with huge smiles, kisses for both cheeks and a satisfying meal. I have so many sweet memories from this special couple, but one of my all time favorites was the time we showed up because we ended up in the neighborhood, and my dear zia insisted we stay for a simple dinner. We knew she was tired and had had a long day, so we tried with all our might to say no, but she wouldn’t take our “no” for an answer and whipped up the yummiest chicken for us. Although I could never make it as good as her (nor could I ever get chicken that fresh), I think she’d still be proud of my attempt. 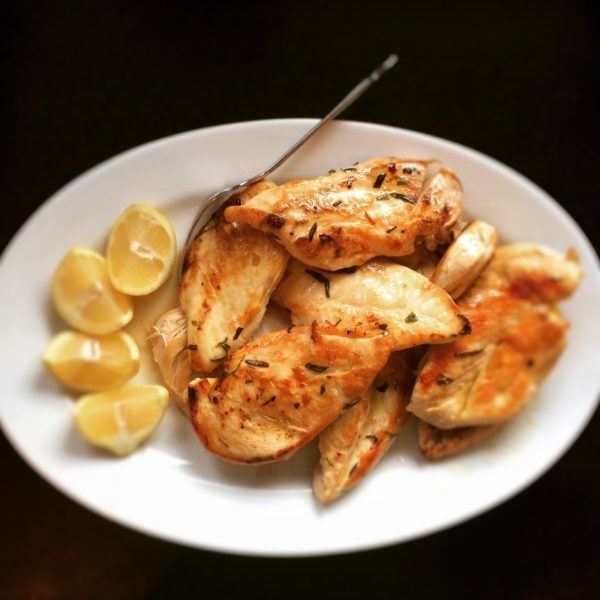 Drizzle the chicken with a little olive oil and then season with salt and pepper and sprinkle with the chopped herbs. Once the pan is hot, add the chicken, frying both sides until golden and cooked through. (This shouldn't take long!) 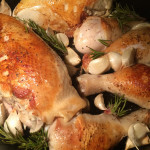 One of my zia's tips is to not move the chicken while it is cooking and to only turn it once, so that you can achieve a beautiful golden crust. Sometimes, this can be hard to do... so once I put the chicken in the pan, I try to focus on something else like tidying up the counter or watering my herbs so that I am not tempted to fidget with the chicken. Once you take the chicken out of the pan, drizzle a little more olive oil on top, along with some freshly squeezed lemon (or a little balsamic vinegar). Here’s a great salad for those dining-al-fresco evenings. A great salad for those dining-al-fresco evenings. 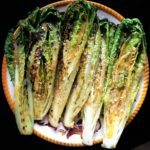 The Caesar dressing was passed along to me by my brother-in-law Jim, and we love that it is a little less creamy than traditional Caesar dressing. The only ingredient I added was a little Tabasco sauce. 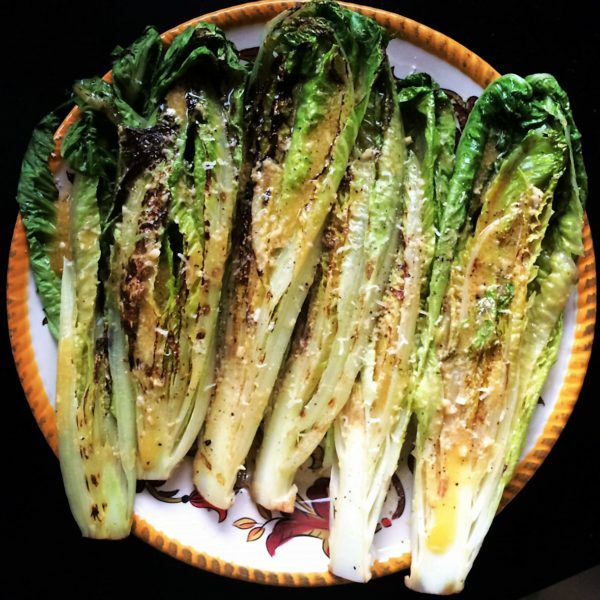 Once the grill is nice and hot, place each romaine heart face down, and then flip 'em to get a little charring on the other side too. Top with vinaigrette, some freshly grated Parmigiano-Reggiano and pepper. At this time of year, I love finding chamomile at my local Trader Joe’s. Summer is the time to slow down the pace and there’s nothing like the gentle honey scent of chamomile to help you do just that. The delicate flowers are so lovely and instantly bring me to a field of wildflowers in the Lazio region of Italy. This picture posted by @st_oliva captures the beauty and peacefulness of chamomile. 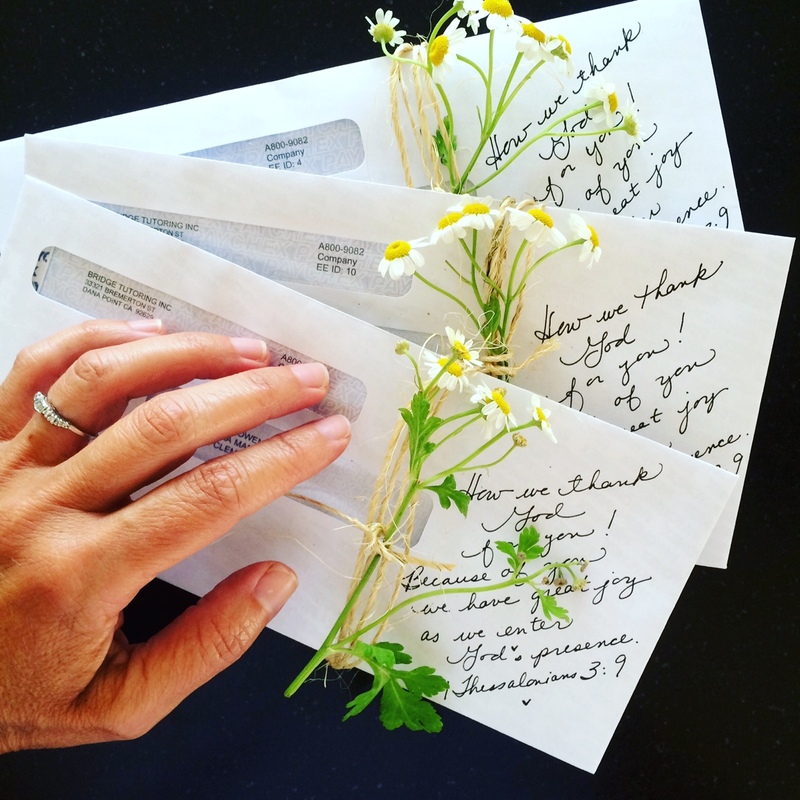 I recently added a sprig of chamomile with some twine, along with a handwritten Bible verse, to these paychecks. Not only does it look pretty, but I especially love that the sweet smell and words of encouragement can brighten up someone’s day. Butta la pasta! // Throw the pasta (in the water)! Butta (pronounced boo- ta) la pasta translates to “throw the pasta”. When you are making pasta and it’s time to throw the pasta in*, that’s when you’ll hear this being enthusiastically yelled throughout the kitchen. Little kids, aunts, uncles, cousins, and grandparents find the need to let the cook know “It’s time! It’s time to throw the pasta in the water!” And we all get a little bit closer to enjoying that satisfying and delicious plate of pasta. 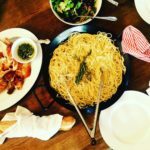 *It’s when the water is boiling, all elements of the dinner are ready to go, and every guest has arrived (especially Papà) because it’s extremely important that we eat the pasta before it gets cold. I got to thinking about this expression and why I love it so much. I realized there is a lot wrapped up into these three words, and that it applies to even more than just making pasta. There are so many times in life, when we need to be patient, when we need to wait, when we wonder if the necessary conditions will ever be ready.  As the anticipation builds, the time finally comes and with it comes the joy of knowing that it’s time to move forward and to take that next step. You realize that all that waiting wasn’t in vain. It’s a time to celebrate, and I love that Italians remind us to celebrate even the little things. 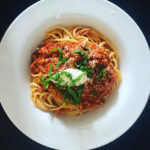 As I continue to move forward with my dream of bringing CASAGIOVE, an Italian market experience to you, I am thankful for those “butta la pasta” moments – a new idea for a blog post, a new connection, a new lead, a conversation that encourages me to move forward… I realize that all these moments are necessary steps in the process. Knowing that the perfect conditions are just around the corner adds a richness to the waiting, and I look forward to the moment when I can share the final vision with all with you. Posted in Fai da te — Recipes & Projects, Storie - Family & Friends and tagged al fresco, al fresco dining, caesar salad, California, Campania, chamomile, chicken, dinner, family, fresh, inspirational, italian food, italian heritage, Italy, Lazio, market, Recipe, ricetta, seasonal, shrimp. Love your posts and recipes….hope you are able to open your dream store soon….Jackie and I plan to be there at your grand opening. Karen too if not during a school day. All of this makes me happy and hungry. Wonderful! That’s what I was hoping for!